"Being from NY, I am a bit of a pizza diva. Pomodoro is easily the best pizza outside NY I've ever had. Sauce and crust are perfect, and ratios are just right. Perfect neopolitian pizza. And they use the right kind of sausage (slivered sausage is flavorless) - so I like the chunky kind they use - Thanks Tony for Bringing NY to Fairfax!! 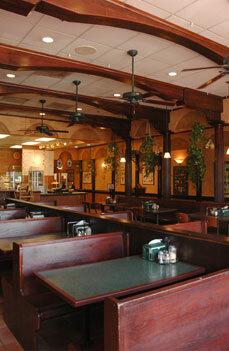 Oh, and his entrees are generous and very very tasty too, so this place is not just for Pizza!" "This was outstanding!! Service was great. I had linguni w/ white clam sauce, hubby had penne vodka and we shared a medium cheese pizza. We actually came here to celebrate/remember my grandfathers b-day, and we both felt like we were transported back to NJ! That was the best NJ pizza we have had in our area, ever!! My grandfather would have been proud of the white clam sauce. We even overheard a couple from from NY raving to the owner that they finally found NY pizza in the area! You must go to this place!!!!" "One of the best steak and cheese subs in the area - consistently great! Pizza is really good. Wait is not long." "This is a nice casual Italian place. Although it is known for its pizza, I usually get the chicken parmigiana. Portions are generous. The sauce is excellent. Service is fast. Prices are good. They have genuine Italian decor on the walls and they play Italian music. This is a nice casual Italian place to go when you are very hungry." Check out more of our reviews on Yelp! "Pomodoro's menu is extensive, their portions are generous, and the speed at which they prepare such aromatic food is almost unbelievable! Stop by and experience for yourself, the warm, nostalgic atmosphere and aromatic smells are guaranteed to tantalize your taste buds and invite you to come back for more! Truly, it is their hard work, dedication, and family tradition that make these men successful." © Pomodoro Restaurant 2014. All Rights Reserved. Web Site Design by DeCarlo Studios.